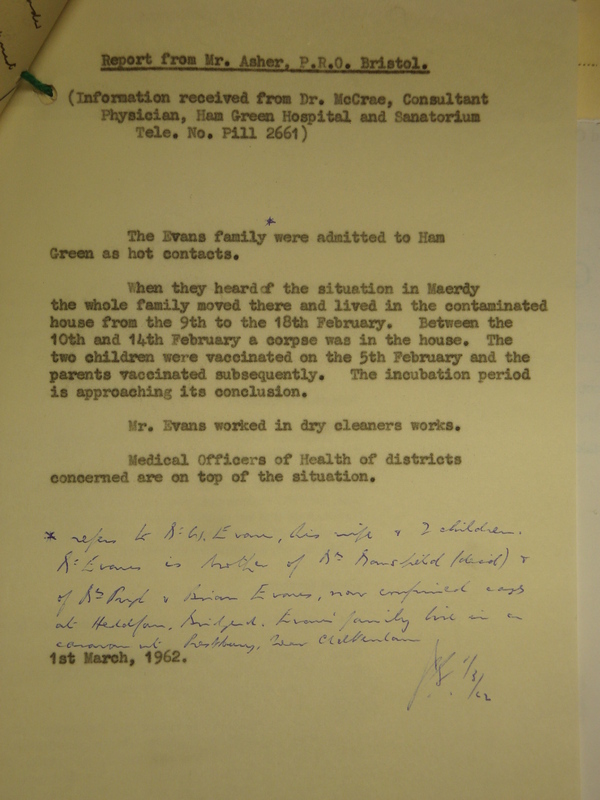 The handwritten note explains that the family are Mr W. Evans, his wife and children. Mr Evans is the brother of Mrs Mansfield (dead) and Mrs Pugh and Brian Evans, confined at Heddfan, Bridgend. The Evans family live in a caravan at Prestbury near Cheltenham. See Death of a Doctor.